The Blog / EasternBoarder : History. A guy came in the shop the other day with a deck that he wanted to have gripped and set up. The board was was going to be for his son as his first "real" skateboard. 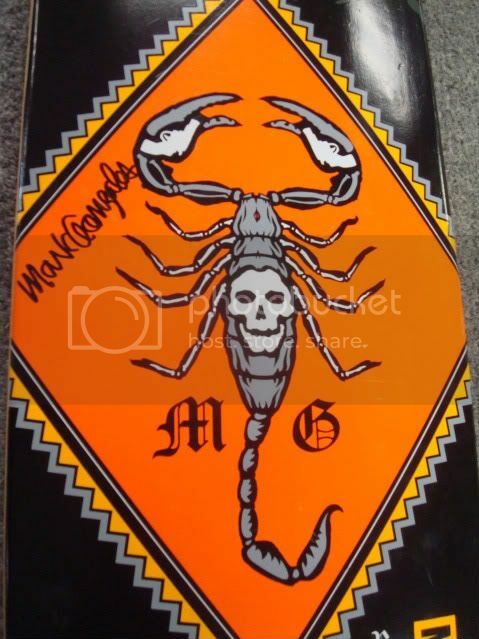 It was in fact a REAL skateboard, a Mark Gonzales Real skateboard that was autographed by the Gonz. He said he got it from a guy he knew who was a friend of Gonz. After a little while we finally persuaded him to buy a Krooked complete to let his kid skate and to hang onto the autographed deck. I wish we could have worked out some kind of trade. That thing would have looked nice in the shop.